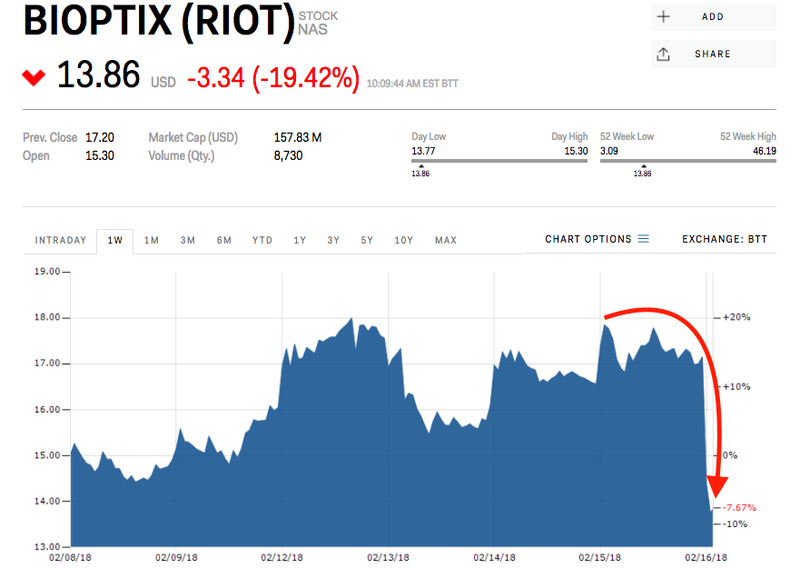 Riot Blockchain fell 17% Friday after CNBC reported its annual shareholders meeting was never even booked. Shares of Riot Blockchain, one of the first in a long string of companies to raise their stock price by pivoting to blockchain, fell more than 17% Friday morning after a damning CNBC investigation. 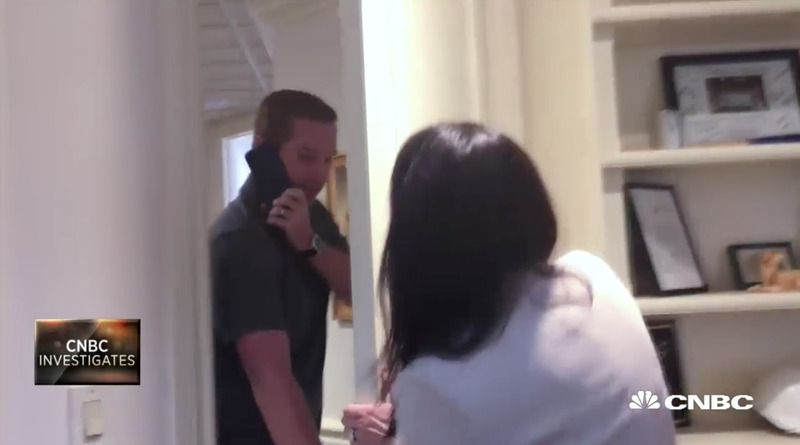 Anchor Michelle Caruso-Cabrera showed up at the swanky Boca Raton Resort and Club in Florida, where the company had twice said it would hold its annual shareholders meeting only to cancel at the last minute. The hotel reportedly said no meeting rooms had ever been booked under the name Riot Blockchain. When she arrived at Riot Blockchain’s office, Caruso-Cabrera found CEO John O’Rourke, who promptly shut the door on her before agreeing to talk off camera. In regards to cancelling the meeting, O’Rourke, who owns 52,000 shares – or 0.45% of the company – told Business Insider in an interview that Riot Blockchain “did not have a quorum of shareholders required for a vote” and that this was not uncommon among public companies. Riot Blockchain was originally a biotechnology company known as Bioptix. Its stock price more than tripled after announcing a pivot to blockchain in early October. O’Rourke, who joined the company in January, according to LinkedIn, was accused of using the name change for personal gain after selling more than 800,000 shares when the stock was near near its all-time high of $US28. On its most recent quarterly earnings report in November, Riot Blockchain reported a loss of $US0.98 per share. The stock is down 49.8% so far this year.